Login to your themeforest.net account and navigate to your “Downloads” tab. 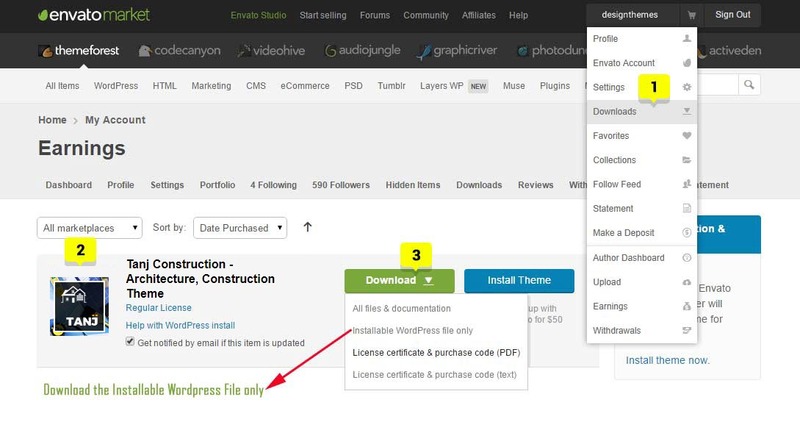 Click the Download button next to your theme and download the “Installable WordPress File Only. 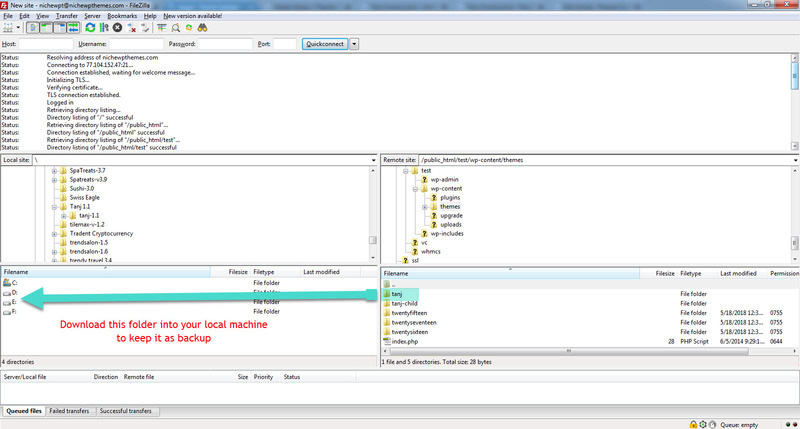 Just use any of the FTP client like Filezilla, Flashfxp, etc to connect to your server files. In our case we have used Filezilla. Just navigate to public_html > wp-content > themes folder to find the exact theme folder. The public_html folder may differ server to server. Now backup your theme folder by saving it to your computer if you have made any custom changes in the code, or you can choose to simply delete it. Your content will not be lost. The backup files will save your custom work. Retrieve the zip file from your latest Themeforest download and extract the file to get the theme folder. 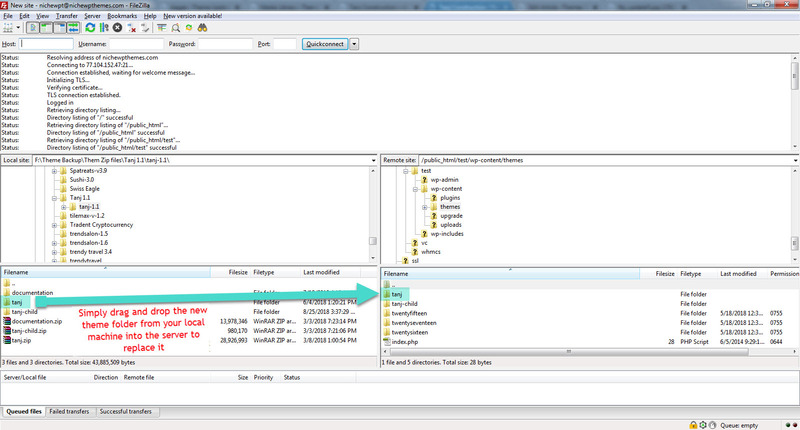 Then simply drag and drop the new theme folder into “public_html > wp-content > themes” location. Upload the theme files in to this path. 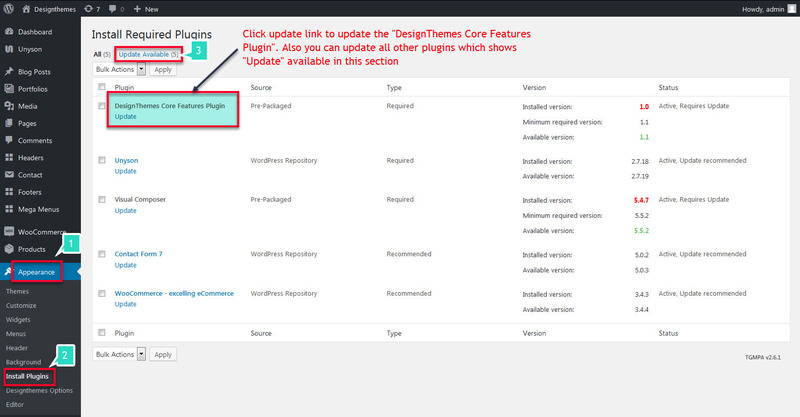 Our “Designthemes Core Features” plugin needs to be updated on theme update. You will be prompted to install it upon installing or updating your theme. If you dismiss the prompt or do not see it, then you can go to Appearance > Install Plugins page and install the plugin that way. If you check the “Update Available” link in that section, you can see the plugins which all needs to be updated. Just click the update button of each plugin to update it to latest version. If it does not shows in the “Update Available” link, then no need to update the plugin. In an alternate method you can just delete the “Designthemes Core Features” plugin and install it again from Dashboard > Appearance > Install Plugins. This method will also install the latest plugin version. If you have purchased any themes from the buddhathemes then the core plugin will be “Buddha themes Core Features” instead of “Designthemes Core Features” All the above process are same.